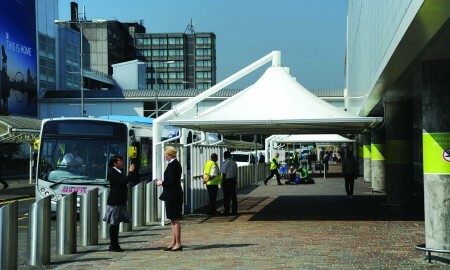 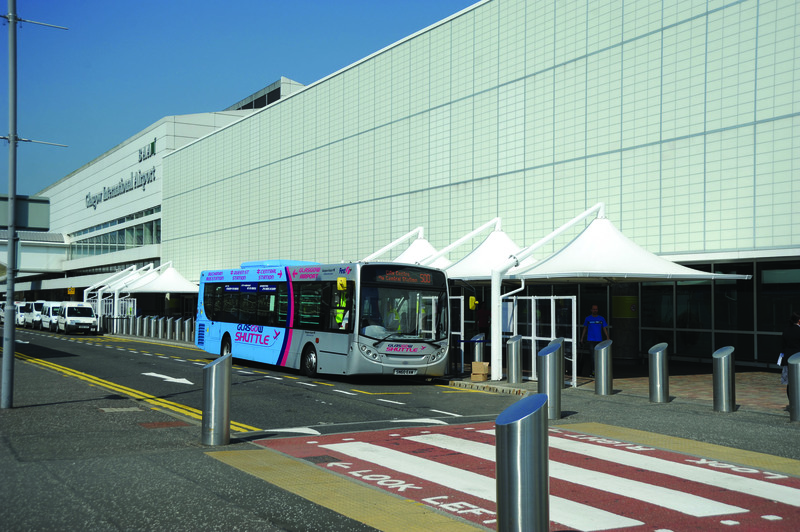 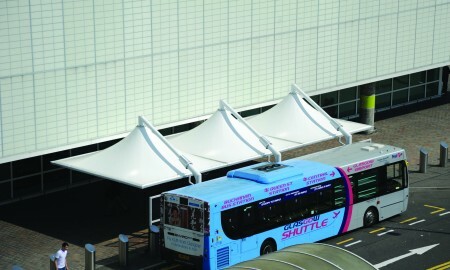 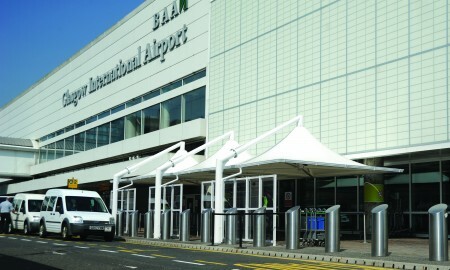 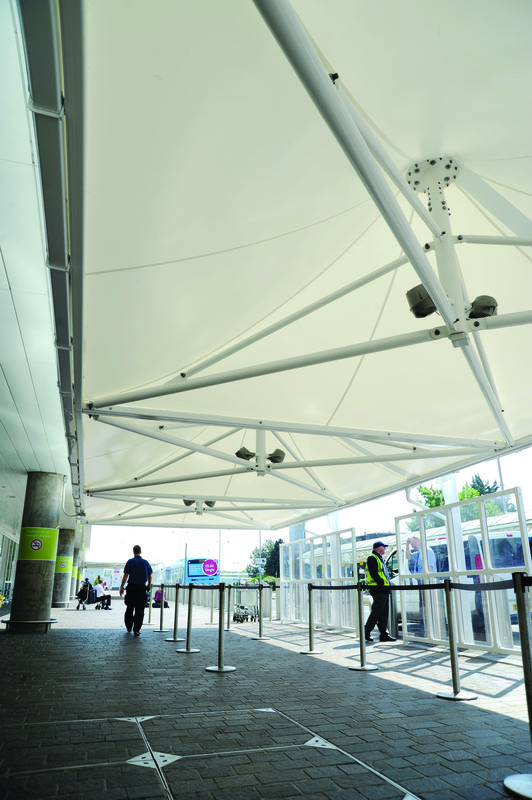 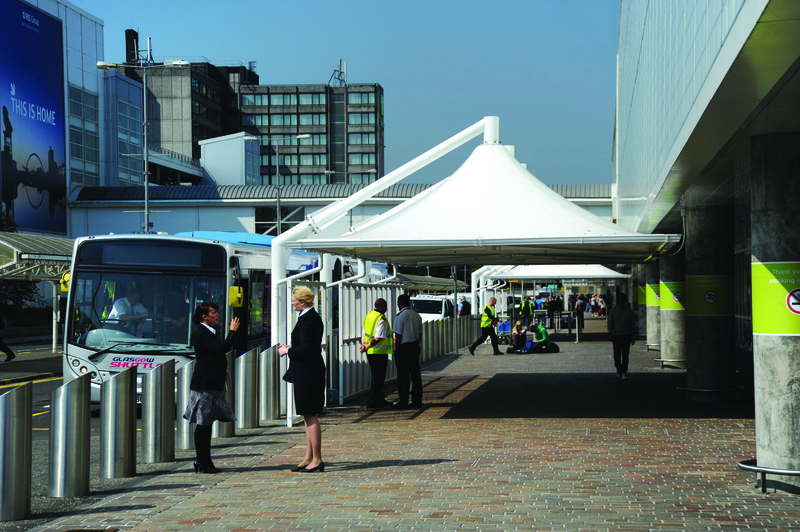 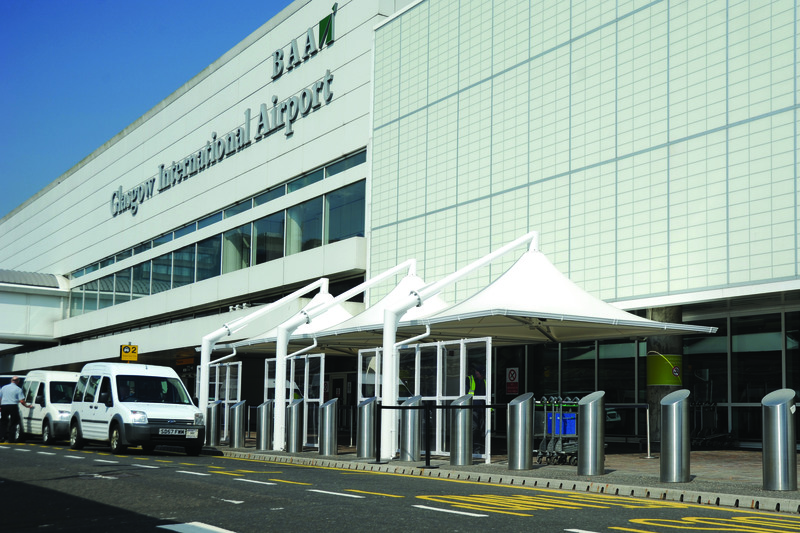 Working directly with the BAA business support centre at Glasgow airport, Broxap was initially approached by BAA with a brief to supply and install a series of Tensile canopies that would provide suitable protection to passengers departing the airport from both Bus and Taxi ranks located directly outside the main Terminal extension. 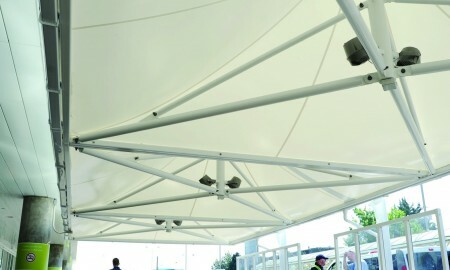 The main canopy design is a mild steel framework that supports a tensile fabric roofing material with an integrated gutter system. 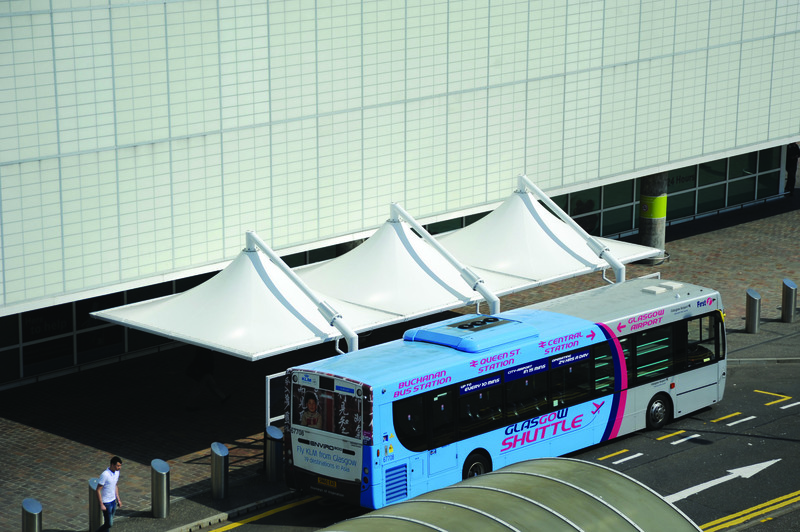 To add further weather protection and a safer environment for passengers, the installation also included side protection screens at ground level and integral lighting within the roof sections, linked to the existing street lighting main. 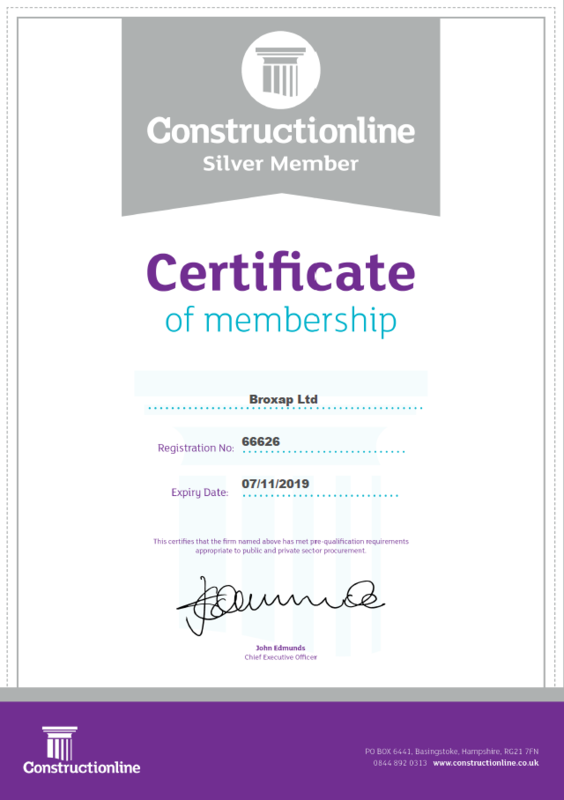 Due to the busy nature of the site and considering the impact to passengers, the programme of site works required extensive management and coordination by both Broxap and BAA to avoid any delays or disruption whilst the work was being completed.